In 2017, only 12 U.S. counties had per capita income over $100K. One was in Utah. (Leah Hogsten | The Salt Lake Tribune) Skiers enjoy the last snow of the season in April at Park City Mountain Resort. Last year, Summit County was one of 12 counties — four of them home to ski towns — in the nation with per capita income over $100,000. Want to hang out with the nation’s really rich people? You can go to New York, or the Bay Area, or Nantucket — or choose from a handful of ski towns in the Intermountain West, including Park City. With a per capita income of $121,932, Summit County, Utah, ranked sixth nationwide in 2017, according to a recently released study by the U.S. Bureau of Economic Analysis. It was one of only 12 counties nationally — out of more than 3,000 — with a per capita income over $100,000 last year. Three of the wealthy counties — New York and Westchester counties in New York, and Fairfield County, Conn. — are in or near Manhattan. Three more are in the San Francisco/Silicon Valley region: Marin, San Francisco and San Mateo counties in California. Massachusetts’ Nantucket County, encompassing the island of Nantucket, made the list. So did Bristol Bay County, Alaska, a tiny area with about 1,000 residents and a lot of salmon to export. The other four are in ski areas in the Mountain time zone: Teton County, Wyo., home to Jackson Hole; Pitkin County, Colo., where Aspen sits; Summit County, Utah; and Blaine County, Idaho, the setting for Sun Valley. Teton County has the nation’s highest per capita income, of $233,860, beating out New York County (aka Manhattan), where the average income is $175,960. 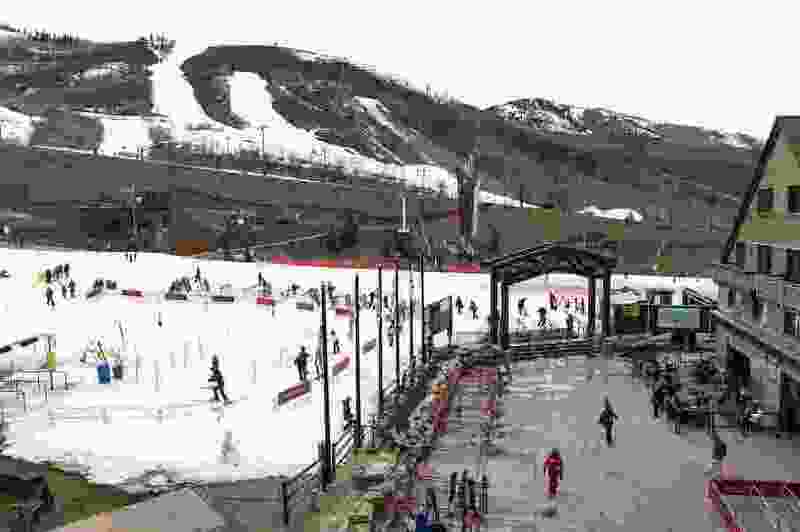 Having so many rich people living in your county during a strong economy is good, said Park City Mayor Andy Beerman, because it provides a solid tax base. “The people who tend to move here can afford to,” Beerman said. “We’re ending up with the super-rich, and then the worker class” — a group he defines as hourly wage-earners, young people out of college and others working in hotels, restaurants and ski resorts. Beerman touts Park City’s goal to build 800 housing units by 2026, with a short-term goal of 220 units by 2022. These would mostly be condos and townhouses, two or three bedrooms each, “that are ideal for families,” Beerman said. The city wouldn’t put such units in the pricey neighborhoods of Deer Valley, where wealthy people have their expensive vacation cabins, or in Old Main Street, which is mostly rental property, he said. The growth areas for such residential units are in Lower Park, near the Park City Library, and in the Prospector Square area, Beerman said. One project in Lower Park, due to be completed by early spring, includes mother-in-law apartments — along with strict zoning rules to prevent them from being rented out on websites like AirBnB or VRBO, Beerman said. The big project on the horizon is the 5.25-acre “arts and culture district” planned for the Bonanza Park area. This development would become the new headquarters for both the Sundance Institute and Kimball Arts Center, as well as provide space for nonprofit groups and artisans. The site would include between 30 and 60 residential units, some of which would be taken by Kimball and Sundance employees, or artists-in-residence, or community residents. “We’re trying to take some of our success and reinvest it in the community,” Beerman said. In the same federal study, Grand County and Salt Lake County were neck-and-neck for distant second and third places among Utah counties — with per capita incomes, respectively, of $49,593 and $49,445. The county with the lowest average income in Utah was San Juan County, at $24,905. The per capita income statewide was $43,459 in 2017, up about 3 percent from the year before. All Utah counties saw a rise in per capita income except Rich County, where it went down less than 1 percent.